If you give your keys to others, they can have copies made quickly and easily at one of millions of key cutting centers. Be sure to understand how easily this can happen and protect yourself by using locks and keys that are protected by a patent and carry the appropriate certifications. How often do you give your keys to other people? Consider the babysitter, the gardener, neighbors, friends, family, parking attendants and how easily they might duplicate a key for convenience and forget to tell you. When searching for a truly secure lock, always look for locks that provide protection against drilling or picking, as well as those that have a long enough bolt so that the door cannot be pried open. Additionally, some locks have bolts that are made of hardened material or have hardened inserts to protect against a possible intruder from sawing the bolt. 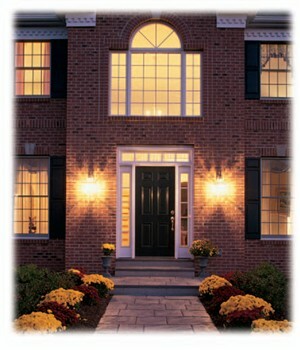 Locks represent a significant part of your comprehensive approach to home security. NCPC recommends that homeowners should also keep their shrubs trimmed, so that burglars cannot hide behind them, and install and use appropriate lighting to illuminate entrances and walkways. Remember that your security is only as good as the weakest link in your security strategy. All elements must be considered in concert with one-another for the most reliable system. Don’t rely entirely on an alarm for security. An alarm notifies police and neighbors AFTER the crime event. 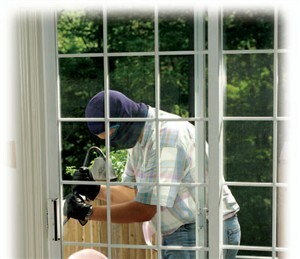 Most burglars realize that even after the alarm sounds, they have at least 10 minutes before the police arrive. Good quality locks can prevent the burglary from occurring and should be considered as a key element of a homeowner’s prevention strategy.